Walkers Maine is the culinary vision of Chef Justin Walker and his restaurateur wife Danielle Johnson Walker. The Walkers honed their skills at the acclaimed Arrows Restaurant in Ogunquit. Justin was Chef du Cuisine while Danielle was Manager and Wine Director. 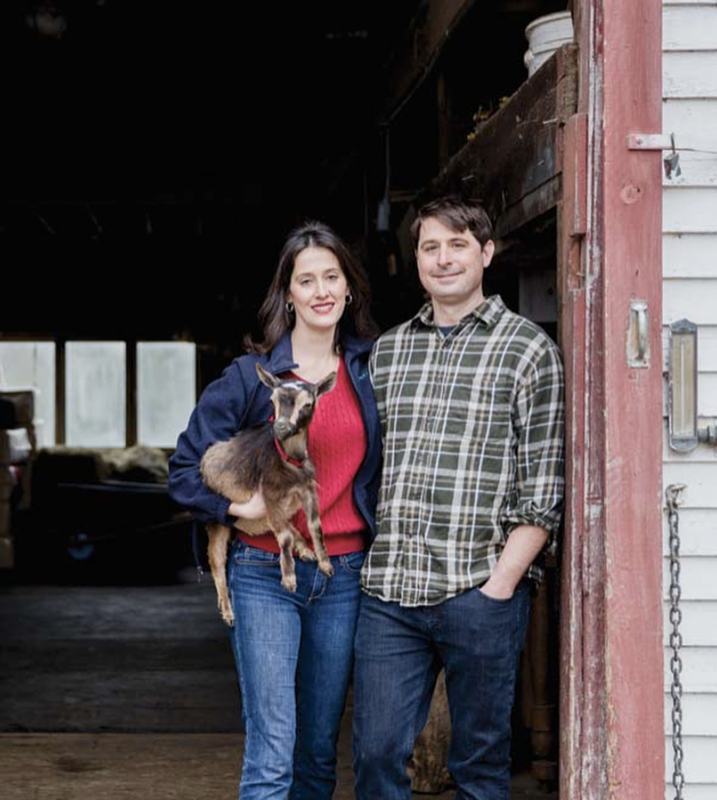 They went on to join forces at the esteemed Earth at Hidden Pond in Kennebunkport – Justin as Executive Chef and Danielle as General Manager. Walkers Maine combines their love of food and wine with their enthusiasm for hospitality. They enjoy wearing many hats. Besides being co-owners, Danielle is manager, sommelier, chief gardener, soap and tincture maker, goatherd and beekeeper. Justin is a culinary artist, forager, and mentor–all titles that were a lifetime in the making. Justin grew up in upstate New York where he was introduced to the outdoors by both his father and grandfather. Childhood adventures cooking over open fires and helping in the kitchen led him to work in restaurant kitchens (starting at age 13) as a way to fund his first passion, competitive skiing. After a number of years working his way through various jobs, he decided to enroll in The New England Culinary Institute where he decided to dedicate his life to his passion for food. Growing up in Maine, Danielle lived on what her family could grow, fish or hunt. She was raised in a house just down the road from where her grandparents lived. All through her childhood, Danielle spent time with her parents and grandparents, learning the folklore, survival skills and family history that are so much a part of Maine life. Although she had very little interest in the restaurant world, she found it offered a great way to pay for her college years. After a couple of summers at Arrows, she became hooked on the food industry. Danielle and Justin live with their energetic, food-loving son, Jackson, about 5 miles from Walkers Maine. They are in the process of restoring the historic 250 year old farm house in Cape Neddick where they live. It is known as The Johnson Farm and has been in Danielle’s family for over 120 years, beginning with her great, great grandfather, Samuel Bowden. They raise dairy goats, garden using organic practices, keep bees, forage the land, and, when time allows, Danielle (an accomplished horse woman) rides her beloved horses through the Maine woods.